Travel suggestions and inspirations from faraway lands: a nomad story in which the power of symbolic language is expressed through the masterful use of fabrics and of Etro’s quintessential pattern, the Paisley. 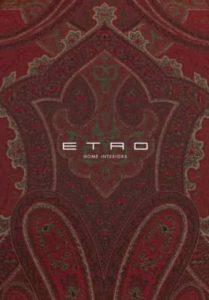 Etro Home Interiors collection perfectly embodies the heritage of the fashion brand and the concept of New tradition which combines classical elements with experimentation and innovation. Etro is New Tradition, the sum of artisan know-how and creative experimentation. 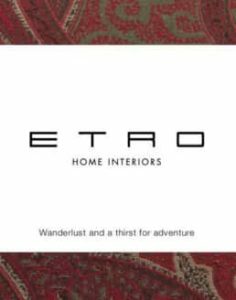 In 2017 Etro and Jumbo Group started a partnership to produce and distribute the new Etro Home Interiors line. 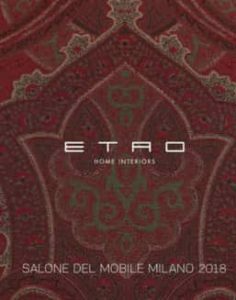 Etro Home Interiors will consist of lounge, dining, bedroom and outdoor furniture coherent with the style, philosophy and heritage of Etro, filled with colours, patterns and joie de vivre. The Paisley, leitmotif of the collection, lets itself be saturated in colour, interpreted and redefined in a game of suggestive elegance. This new collection blends tradition with innovation and history with a contemporary edge, presenting the Etro world. Etro’s roots are firmly embedded in the textile culture. 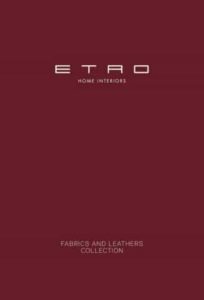 The entrepreneurial venture began in 1968, when Gimmo Etro, the brand’s visionary founder, launched a production of highly prestigious fabrics using noble and natural fibres, which he embellished with original designs and innovative colour ways. The Paisley motif used to enrich the first collection was set to become the Etro mark of identity. In 1986 Etro launched the home accessories and complements collection, thus consolidating the brand’s lifestyle concept. The materials, the workings and a special talent with prints are what make Etro unique and unrepeatable. 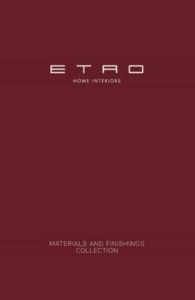 NEED MORE ETRO INFORMATION ?